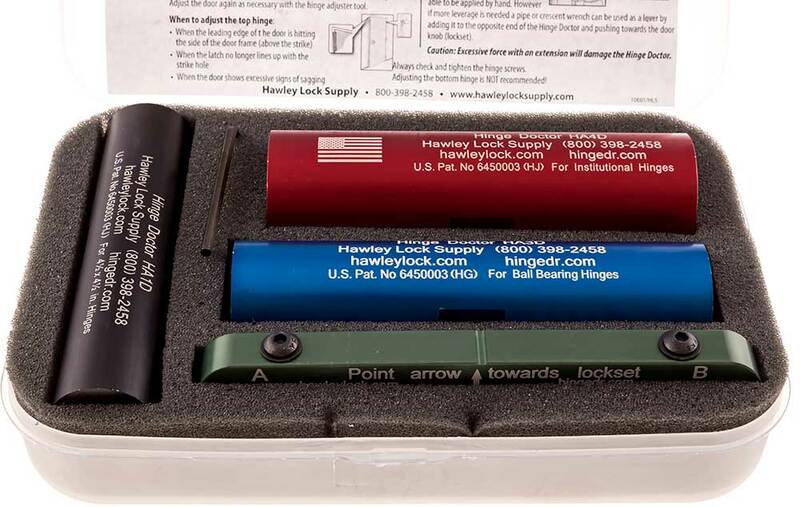 Hawley Lock Supply: Sale: Hinge Doctor full set HA1234D, notched version, free storage case. This is the new notched Hinge Doctor set. The HA1, 3 and 4 tools are now notched, and can be used two different ways. You can use them normally, or on doors with close molding, you can use an adjustable wrench. Complete set of all 4 hinge doctors. HA1, HA2, HA3 and HA4. Has the three commercial models, plus the HA2 for residential. Save when you get all these together! Includes free carrying case.